Saratoga residents love making New York their home. While we’re sure that you’ve found everything you need in your hometown, there are always a couple exceptions. Finding the best possible healthcare providers takes time and energy - after all, you need to be sure that you’re making the right choice. You may even have been searching for a dentist for some time. If you're looking for restorative dental care, we confidently recommend Dr. Robert Scotto for all your needs. And if you’re missing a tooth, then we’re even more certain that you’ll be thrilled with dental implants at our Saratoga-adjacent practice. Southwest of Saratoga Lake, Dr. Scotto’s practice offers comprehensive dental care for the entire family. While younger patients are primarily concerned with cavities (and getting their brushing and flossing in order), older patients have more serious concerns. Many of us have experienced the loss of a tooth, and as we age, missing teeth take on new gravity. For many patients without full smiles, dental implants are an ideal treatment option. In short: any patient without all of his or her teeth. An implant technically replaces a tooth root, by reaching into the jaw bone and connecting with the natural bone tissue. 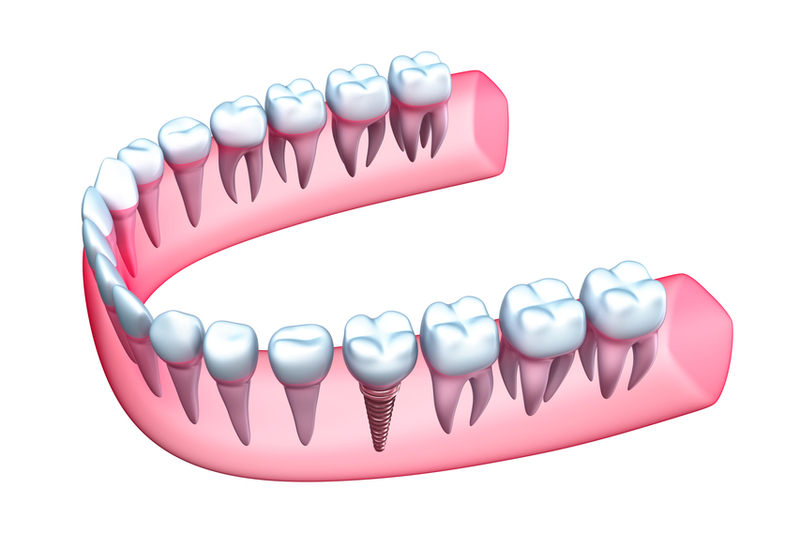 A restoration is then attached to that foundation, ultimately rebuilding the entire missing tooth. The end result? A prosthetic that truly lasts, with decades of life ahead. While the accompanying restorations may need to be replaced at some point, the implants will continue to thrive. A single implant may be placed alone, or you can receive a set of implants to anchor partials, dentures, or multiple individual crowns. Dr. Scotto will help you decide what is appropriate for your health, jaw structure, and personal preferences. When you’re missing teeth, you don’t feel like yourself. Put that discomfort to an end by seeking a long-term solution. Get in touch with Dr. Scotto to learn more about dental implants, and whether they’re right for you.